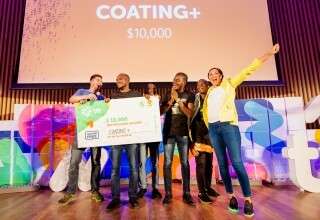 TFF Grand Prize: Nigerian team Coating+ were selected as the Grand Prize winners, receiving a cash prize of $10,000 USD. 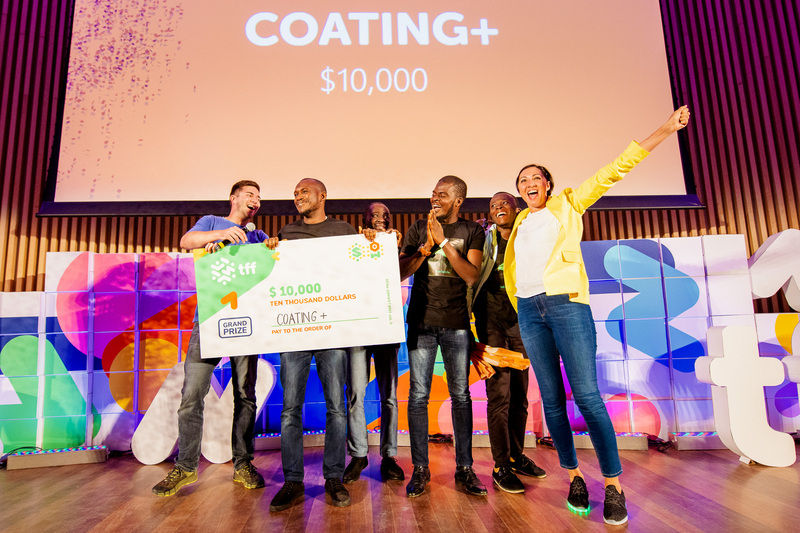 Led by biochemists Albert Kure, Basheer Balogun, Lukman Abdulwahab and Suleiman Alakanse, the team has developed a safe coating for fresh foods that extends their shelf life while also providing hard-to-access micronutrients to help tackle hidden hunger. When food is coated with their chitosan/soy protein-based product, fresh produce has been shown to retain its quality for up to three times longer in laboratory trials. Coating+ is currently undergoing regulatory approval for their product, and are ramping up production capabilities with a leading global nutrition company. 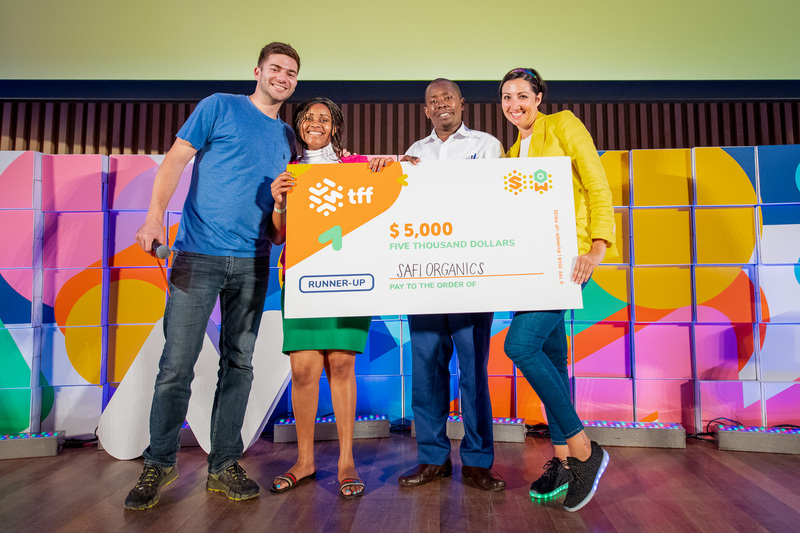 TFF Runner-Up Prize: Kenyan team Safi Organics won the Runner-Up Prize of $5,000 USD. Joyce Kamande, Kevin Kung and Samuel Rigu have developed a decentralized organic fertilizer production system and proprietary biochar formula that increases yields by up to 30% while correcting soil acidity. They have conducted over 20 field tests and have made $15,000 in sales to date, leveraging intellectual property from MIT. The team is beginning to scale up sales and production capabilities, securing key distribution and training partners. 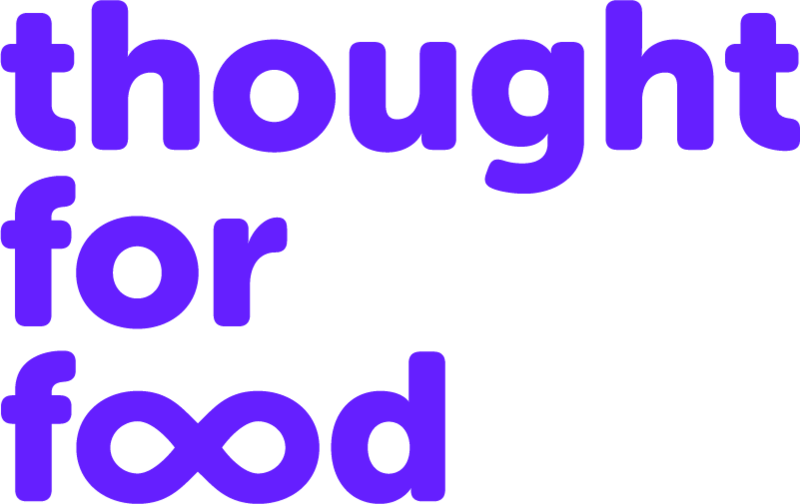 The TFF teams were evaluated based on their potential for positive social and environmental impact, as well as the scientific and business feasibility of their ideas. The panel of judges which selected the 2018 winners included Cristianne Close (WWF), Teddy Onserio (Open Society Foundation), Peleg Chevion (Blendhub), and Darío Gonzales (Cultivando Futuro). 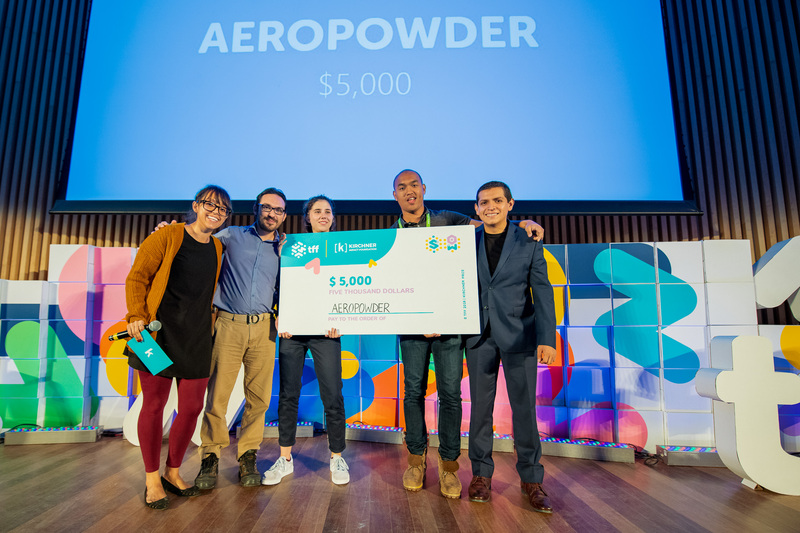 Kirchner Food Prize: Team AEROPOWDER, founded by Ryan Robinson and Elena Dieckmann from the United Kingdom won the $5,000 USD Kirchner Food Prize, awarded by the Kirchner Food Fellowship for the project that represents the most impact investment potential. 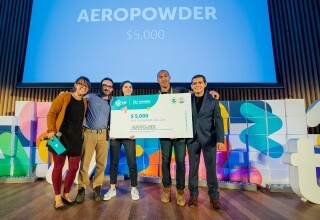 AEROPOWDER has developed a proprietary manufacturing process in which they upcycle surplus poultry feathers into insulation materials that can be used to transport food. 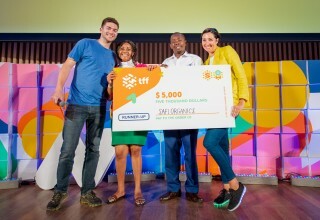 Borlaug “Take it to the Farmer” Prize: SunRice, a team based out of UK and Malaysia, took home the $2,500 USD Borlaug Prize, which is awarded to a team that carries out the legacy of the late Norman Borlaug legacy by helping farmers in developing countries access important technologies. This team has created a unique, community-owned grain drying and processing service for rural villages. Their service allows smallholder farmers to dry more rice in a more efficient manner, increasing their annual yields and income. The team is currently implementing their first trial in Northern Myanmar and has a partnership with the International Rice Research Institute. These are only a few of the amazing, next generation led companies which were represented at the TFF Summit, where the 10 TFF Challenge Finalist teams that completed the TFF Startup Bootcamp pitched live on stage. 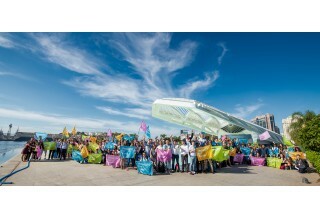 In addition, the TFF Summit, which took place at the Museum of Tomorrow, featured a “pop-up” pitch room where Brazilian startups were showcased, as well as inspiring keynotes, a VR art installation, a live drumming and Samba performance, and a morning rave. 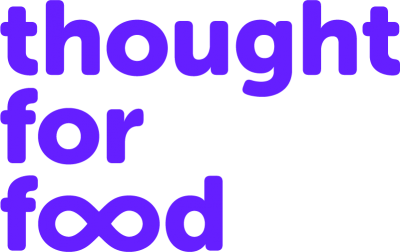 Interested in learning more about the planet’s most innovative food and agriculture startups, next-generation talent and building long-lasting business relationships? Follow our activities on Facebook, LinkedIn and Twitter to stay in the know.